According to Singapore Cancer Registry, skin cancer ranks number 6th among men and women. Skin Cancers are divided into melanoma and non-melanoma skin cancer (NMSC). 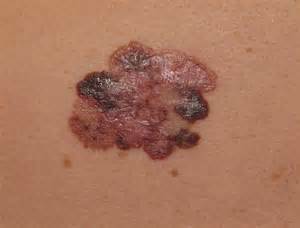 Melanoma is the malignant tumour of the melanocytes (pigment cells) and they behave more aggressive than NMSC. Fortunately melanomas are less common than NMSC. NMSC consists of basal cell carcinoma (BCC) and squamous cell carcinoma (SCC). The most common skin cancer is BCC. It is slow growing and usually occurs in the sun-exposed area. They can sometimes be pigmented and may be mistaken for a mole. BCC can destroy the surrounding tissue but it rarely spreads. Treatment depends on the type of BCC. The second most common skin cancer is SCC and it is more common in fair skinned individuals. SCC is typically seen in sun exposure areas but can also be seen over genital region. 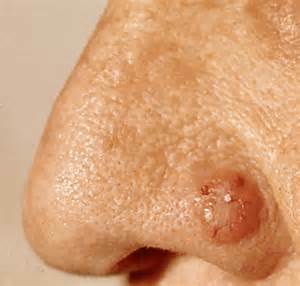 Typically it presents as isolated thickened or eroded raised lesion with central crusting which persists for months. 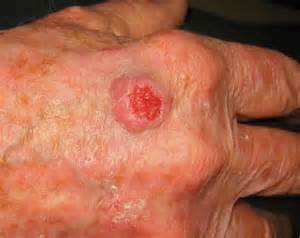 Melanoma is the most dangerous skin cancer because it spreads rapidly. The type of melanoma that is most common in Singapore is called acral lentigenous melanoma. They are seen as pigmented lesions on the palms, soles or the under the nails of toes and fingers. Hence the simple ABCDE rule, if you have a mole that is asymmetrical, with irregular border, variable shades of brown or black, more than 6mm in diameter and increasing in size, bleeding, or itchy, you must consult a doctor. Am I at risk for skin cancers? The most important risk factor of melanoma and NMSC is prolonged and cumulative ultraviolent radiation from the sun. Hence it is important to start using sun protection device and sun screen from young. Other factors which may increase your chance for skin cancer are family history and light skin colour. How do we confirm the diagnosis? Skin biopsy is necessary to confirm skin cancer. It is painless and done under local aneasthesia. The lesion removed will be sent for histology examination to confirm the diagnosis. Treatment depends on the type of skin cancer. For superficial BCC and SCC, topical imiquimod cream (aldara) can be used to treat these lesions. Wide local excision is necessary for melanoma. All patients diagnosed with melanoma will need a referral to medical or surgical oncologist to ascertain the stage of condition. So if you have a suspicious skin lesion you are unsure about, best to get to reviewed by a medical doctor before you decide to get it removed by non medical persons.